AIIMS Notification is out. 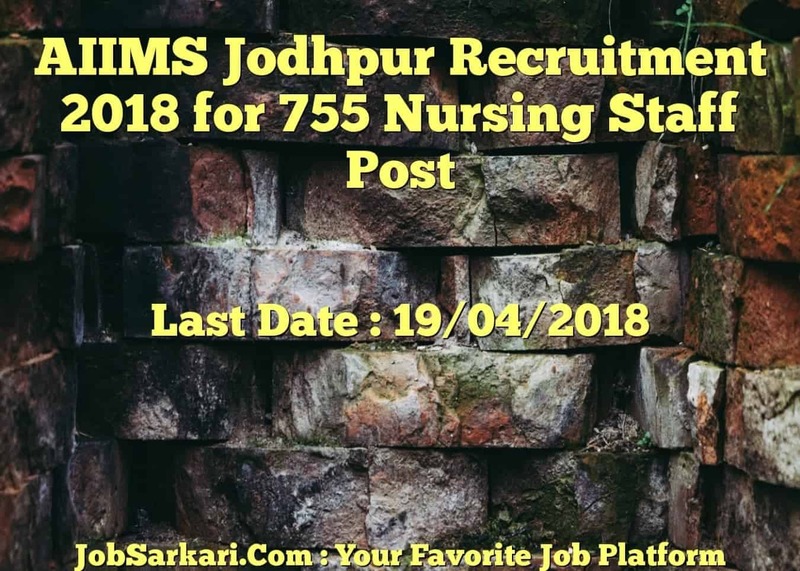 AIIMS is recruiting for 755 Nursing Staff Posts. 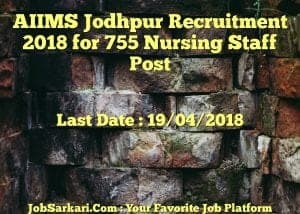 You can check AIIMS - All India Institute of Medical Science last date, download AIIMS notification, visit AIIMS official website and check other AIIMS Vacancy details.Complete Vacancy and recruitment Details about 755 Nursing Staff vacancies in AIIMS are provided below by JobSarkari.Com only for you. Last Date : Notified Soon. Last Date for Apply Online Notified Soon. Assistant Nursing Superintendent Candidate Must Have Passed B.Sc Nursing With 06 Years of Experience in 200 Bedded Hospital Minimum - 25 Years. Maximum - 40 Years. 15 07 04 02 28. Senior Nursing Officer Candidate Must Have Passed B.Sc Nursing With 03 Years of Nursing Experience in 200 Bedded Hospital. Minimum - 21 Years. Maximum - 35 Years. 65 34 19 09 127. Nursing Officer Candidate Must Have Passed B.Sc Nursing With 02 Years of Nursing Experience in 200 Bedded Hospital. Minimum - 18 Years. Maximum - 30 Years. 303 162 90 45 600. Total No. of Post 383. 203. 113. 56. 755. 7. Online Application Can be Submitted on or Before Notified Soon. Q. What is the Last Date For AIIMS Nursing Staff Vacancy ? A. Last Date for AIIMS Nursing Staff Posts is Notified Soon..
Q. What is the Form Type of AIIMS Nursing Staff Recruitment ? A. The Form Type for AIIMS Nursing Staff Posts is Online. Q. How many vacancies are available in All India Institute of Medical Science Nursing Staff Posts ? A. There are about 755 Vacancies in All India Institute of Medical Science Nursing Staff Posts.